Cook over medium heat stirring constantly until thickened and bubbly. Stir in salt and pepper; add chicken and stir well. 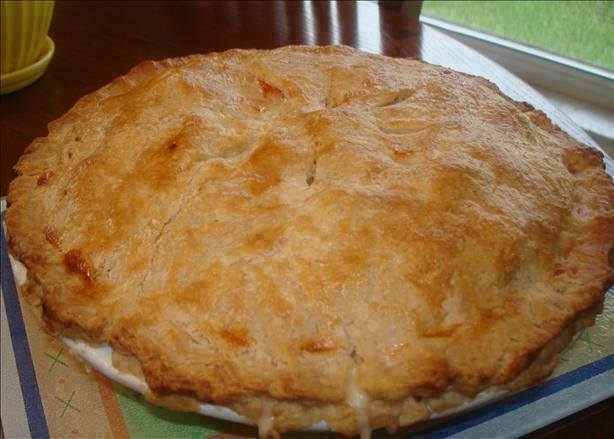 Pour into shallow 2-quart casserole dish and top with pie shells. Cut slits to allow steam to escape. Bake for 40-50 minutes or until pastry is golden brown and filling is bubbly and cooked through.